This evening I attended a wonderful program featuring this most talented young woman who plays with two symphony orchestras and also is an assistant pastor. Along with the beautiful music she shared the history of the harp and explained many features of the instrument. I'd like to have heard her and heard her explanation of the instrument. Always thought it would be fun to play the harp..
What a gorgeous image of a very talented young lady. Lovely capture and I bet you had a lovely time. I love harp music and watching a harp being played is a rare treat. 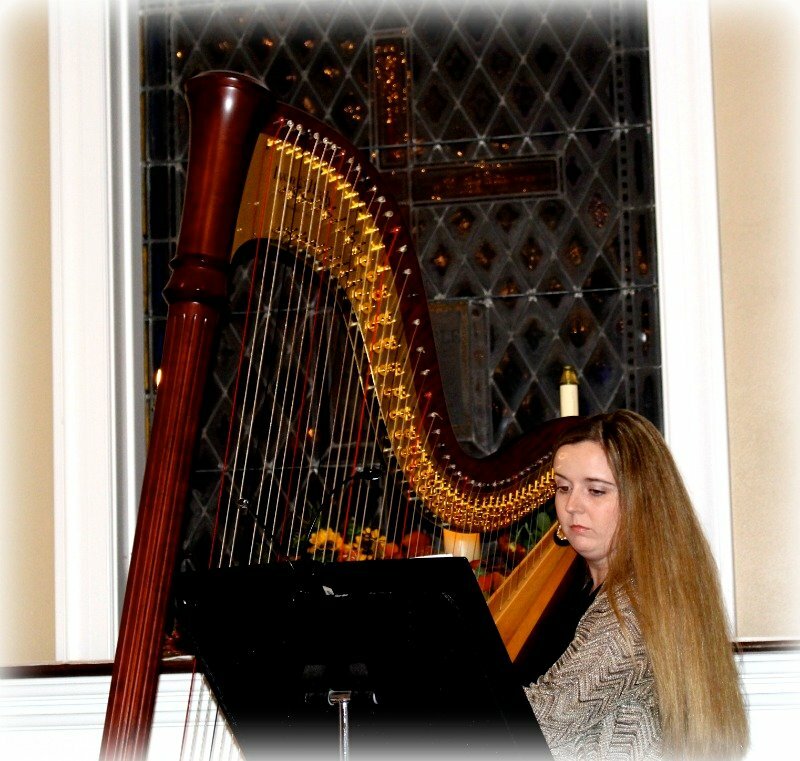 I don't know about your harpist, but irish harp music is not written down. They simply have to learn their whole repetoire, so I think rhey are very clever people indeed. You have beautiful lighting in this. A great shot of the harpist. I just saw a movie on TV from an adopted Dutch-Korean girl who has become famous for her playing on the harp.